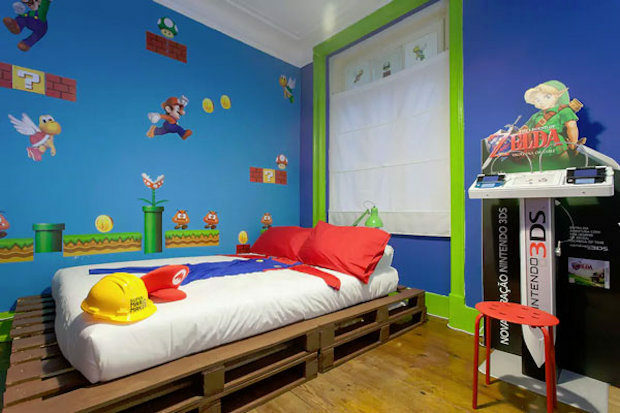 Are you are a Mario fan? 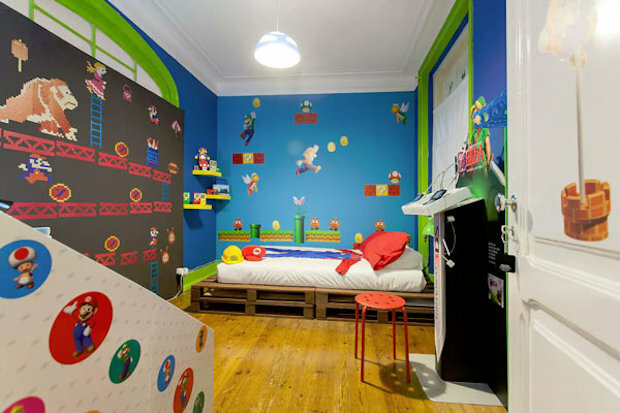 Well, if you happen to be traveling to Lisbon, Portugal, you can stay in a Super Mario themed room through Airbnb. 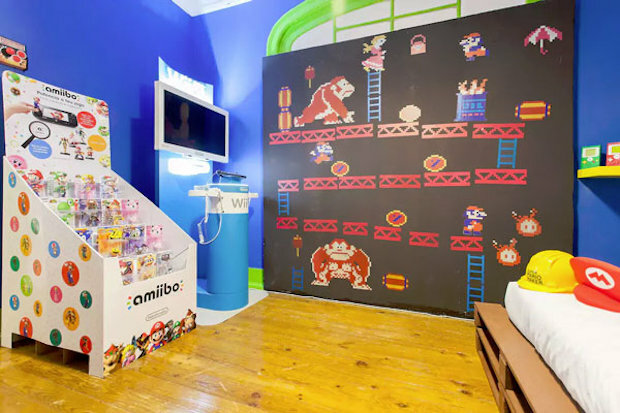 Hopefully your Princess won’t be in another castle. 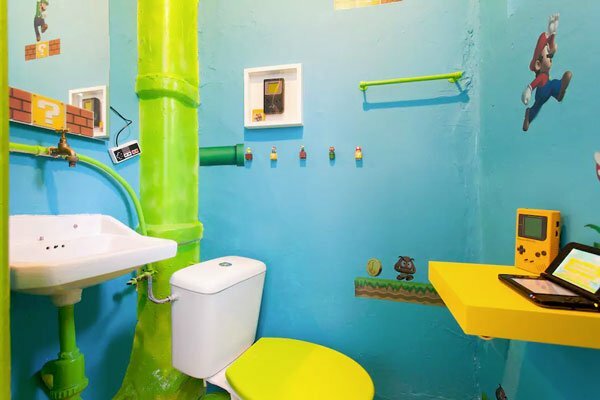 The bedroom and bathroom are completely covered in Mario, Luigi, Princess Peach, Donkey Kong, and the other characters from Nintendo’s popular franchise. 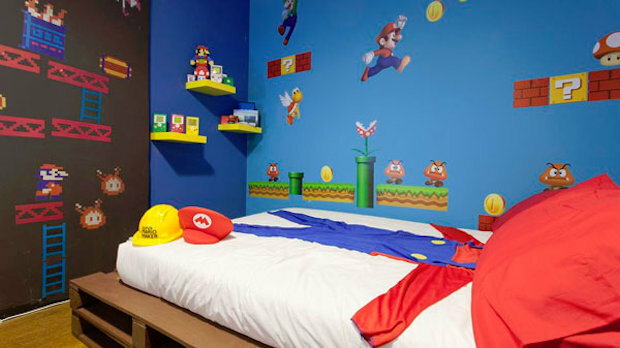 It looks like they even have some Mario pajamas laid out on the bed, in case you want to dress the part. 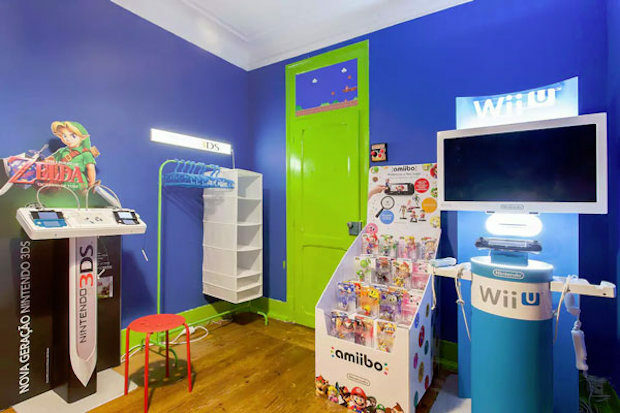 There are also two 3DS game consoles and a Wii U in the room, so you can kick back and relax while you enjoy your stay. Sadly there are no blocks floating in mid-air that will produce coins when you hit your head on them. You can’t have everything.